Meshal Saad M. Albostani, one of the 15 suspects who were inside the Saudi consulate when missing journalist Jamaal Khashoggi entered, has died in a suspicious traffic accident. Claims are circulating that Albostani, who is a lieutenant of the Saudi Royal Air Forces, could have been silenced. There is no information about the details of the accident that left Albostani dead. Albostani entered Turkey at 1:45 a.m. local time (2245GMT). He stayed at the Wyndham Grand Hotel and left the country at 9:46 p.m. local time (1846GMT) on a private jet which belonged to the Sky Prime Aviation company. Khashoggi, a U.S. resident who wrote columns for the Washington Post and a critic of the Saudi government, has long been feared killed after he entered the Saudi Consulate building in Istanbul on Oct. 2 and was never seen leaving. A bill in the House of Representatives would halt arms sales to Saudi Arabia unless Secretary of State Mike Pompeo certifies the kingdom did not order the killing of Jamal Khashoggi.Massachusetts Democratic congressman Jim McGovern, co-chair of the Human Rights Commission and the ranking member of the House Rules Committee, took the lead on the legislation, saying reports about Khashoggi "represent a brazen violation of international norms. "The legislation states U.S. military aid and sales to Saudi Arabia would be prohibited, pending confirmation from Pompeo on the status of Khashoggi.“If the United States stands for anything, we need to stand out loud and foursquare for human rights. Our values are our strength, and we cannot be indifferent or complicit when those values are undermined or attacked," McGovern said in a statement last week.US intel ties Saudi Prince to journo’s disappearanceKhashoggi has not been seen since he entered the Saudi Consulate in Istanbul on Oct. 2 as fears mount he was killed.Multiple reports have cited audio and video recordings containing grisly details of his alleged killing at the hands of Saudi operatives after he entered the consulate.Other U.S. lawmakers have also taken similar stances on Saudi Arabia, saying sanctions are necessary if reports of the journalist's death are true.Republican Senator Lindsey Graham warned there would be "hell to pay" if Khashoggi was killed.Turkish-Saudi team completes probe at Saudi consulateAccording to the Intercept news website, the bill, introduced to the House on Tuesday, is being co-sponsored by six Democrats and two Republican lawmakers.Republican Senator John Kennedy said that while Saudi Arabia should be condemned if it is found to be behind Khashoggi's disappearance, the U.S. should stop short of "blowing up the Middle East" in retaliation. "You could expel diplomats. You could do a U.N. resolution. You could curtail arms sales. You could do sanctions on individuals," Kennedy said, according to the Hill news outlet. "Our foreign policy has to be anchored on values, that's America. "Among the "number of options" the U.S. could pursue are sanctions, arms sales reductions and UN resolutions, Kennedy suggested. The Washington Post late Wednesday published the final column of Jamal Khashoggi, a journalist who went missing this month at the Saudi Consulate in Istanbul.In the article, titled “What the Arab world needs most is free expression,” Khashoggi wrote about press freedom in the Arab world.He wrote that after viewing the “2018 Freedom in the World” report by U.S.-based non-governmental organization Freedom House, he “came to a grave realization”.“There is only one country in the Arab world that has been classified as ‘free.’ That nation is Tunisia. Jordan, Morocco and Kuwait come second, with a classification of ‘partly free.’ The rest of the countries in the Arab world are classified as ‘not free'.“As a result, Arabs living in these countries are either uninformed or misinformed. They are unable to adequately address, much less publicly discuss, matters that affect the region and their day-to-day lives. A state-run narrative dominates the public psyche, and while many do not believe it, a large majority of the population falls victim to this false narrative. Sadly, this situation is unlikely to change,” he said.Missing Saudi journalist’s fate still uncertainTurkish investigators enter Saudi consul's Istanbul residence“The Arab world needs a modern version of the old transnational media so citizens can be informed about global events.“More important, we need to provide a platform for Arab voices. We suffer from poverty, mismanagement and poor education. Through the creation of an independent international forum, isolated from the influence of nationalist governments spreading hate through propaganda, ordinary people in the Arab world would be able to address the structural problems their societies face.”Above the column, the newspaper published a note by the paper’s Global Opinions editor, Karen Attiah.“I received this column from Jamal Khashoggi’s translator and assistant the day after Jamal was reported missing in Istanbul,” Attiah wrote.“The Post held off publishing it because we hoped Jamal would come back to us so that he and I could edit it together. Now I have to accept: That is not going to happen.German FM puts plan to visit Saudi Arabia on holdSaudi investigation team arrives at consul's Istanbul residence“This is the last piece of his I will edit for The Post. This column perfectly captures his commitment and passion for freedom in the Arab world. A freedom he apparently gave his life for. I will be forever grateful he chose The Post as his final journalistic home one year ago and gave us the chance to work together,” she added.Khashoggi has long been feared killed after he entered the Saudi Consulate building in Istanbul on Oct. 2 and was never seen leaving.On the same day, 15 other Saudis, including several officials, arrived in Istanbul on two planes and visited the consulate while Khashoggi was still inside, according to Turkish police sources. All of the identified individuals have since left Turkey. A joint investigation into the disappearance of Saudi journalist Jamal Khashoggi was completed early Thursday.All officials from the joint Turkish-Saudi team have left the area after searching the Saudi consul general's official residence as well as the Saudi consulate building in Istanbul, according to an Anadolu Agency correspondent at the scene.Crime scene investigation units arrived at the Istanbul residence of Mohammad al-Otaibi around 4:40 p.m. local time (1340 GMT). 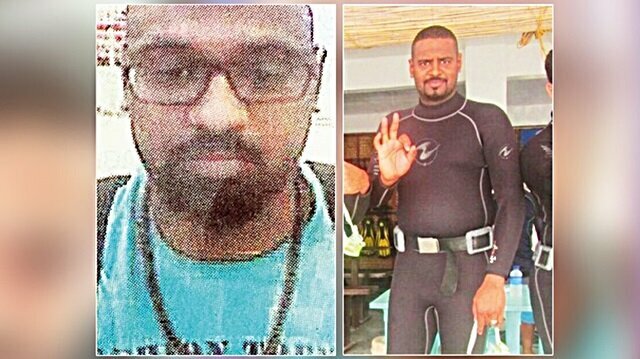 Al-Otaibi left Turkey for Riyadh on Tuesday.The Turkish team concluded its search for evidence in nine hours and left but returned to the Saudi consulate to continue searching the premises.US intel ties Saudi Prince to journo’s disappearanceEarlier in the day, a group of Saudi officials arrived at the Saudi consul general's residence to take part in the joint probe with Turkish investigators into Khashoggi’s disappearance.Khashoggi has long been feared killed after he entered the Saudi Consulate building in Istanbul on Oct. 2 and was never seen leaving.On the same day, 15 other Saudis, including several officials, arrived in Istanbul on two planes and visited the consulate while Khashoggi was still inside, according to Turkish police sources. All of the identified individuals have since left Turkey.